Provides an overview of the hierarchy of study designs, and justifies the position of randomised trials at the top of this hierarchy. Discusses the strengths and defects of randomisation, and provides real evidence to justify concern regarding its defects. Outlays the damaging consequences that selection bias causes when it does occur. Considers courses of action that can be taken to manage/ contain the problem. Presents methods that can be used to detect selection bias in randomised trials, and methods to correct for selection bias. Concludes by providing a comprehensive plan for managing baseline imbalances and selection bias in randomised trials, and proposing open problems for future research. 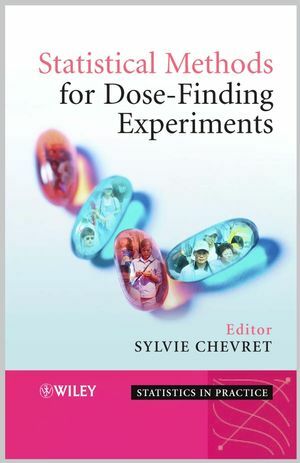 Illustrated with case studies, this book introduces groundbreaking ideas and research that will be invaluable to researchers and practitioners who design and analyse clinical trials. It will also be of interest to graduate students within the field of biostatistics. 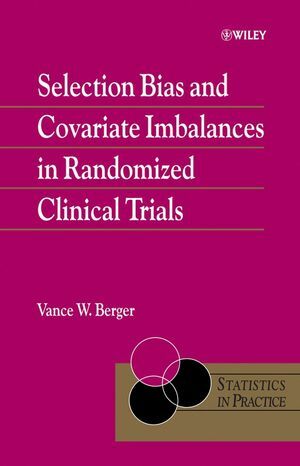 Vance Berger is the author of Selection Bias and Covariate Imbalances in Randomized Clinical Trials, published by Wiley. Part I: Is There a Problem with Reliability in Medical Studies? 1 An Evolution of Comparative Methodology. 1.2 Case series and cohort studies. 2 Susceptibility of Randomized Trials to Subversion and Selection Bias. 2.1 Can randomized trials be subverted? 2.2 If randomized trials are subverted, do they cease to be randomized trials? 2.4 What is allocation concealment? 2.6 What if allocation concealment could be ensured? 3 Evidence of Selection Bias in Randomized Trials. 3.1 The burden of proof regarding the existence of selection bias in randomized trials. 3.2 Indirect population-level evidence that selection bias exists in randomized trials. 3.3 Direct trial-level evidence that selection bias exists in randomized trials. 3.3.1 Heparin for myocardial infarction. 3.3.2 University Group Diabetes Program. 3.3.3 Talc and mustine for pleural effusions. 3.3.4 Tonsillectomy for recurrent throat infection in children. 3.3.5 Oxytocin and amniotomy for induction of labor. 3.3.6 Western Washington Intracoronary Streptokinase Trial. 3.3.7 RSV immune globulin in infants and young children with respiratory syncytial virus. 3.3.8 A trial to assess episiotomy. 3.3.9 Canadian National Breast Cancer Screening Study. 3.3.12 Coronary Artery Surgery Study. 3.3.13 Etanercept for children with juvenile rheumatoid arthritis. 3.3.14 Edinburgh Randomized Trial of Breast-Cancer Screening. 3.3.16 G¨oteborg (Swedish) Mammography Trial. 3.3.18 Hypertension Detection and Follow-Up Program. 3.3.19 Randomized trial to prevent vertical transmission of HIV-1. 3.3.20 Effectiveness trial of a diagnostic test. 3.3.21 South African trial of high-dose chemotherapy for metastatic breast cancer. 3.3.22 Randomized study of a culturally sensitive AIDS education program. 3.3.24 Cluster randomized trial of palliative care. 3.3.25 Randomized trial of methadone with or without heroin. 3.3.26 Randomized NINDS trial of tissue plasminogen activator for acute ischemic stroke. 3.3.28 Laparoscopic versus open appendectomy. 3.3.29 The Losartan Intervention for Endpoint Reduction in Hypertension (LIFE) Study. 3.3.30 The Heart Outcomes Prevention Evaluation (HOPE) Study. 3.4 In search of better evidence. 4 Impact of Selection Bias in Randomized Trials. 4.1 Quantifying the prediction of future allocations: balanced blocks. 4.2 Quantifying prediction of future allocations: unbalanced blocks. 4.3 Quantifying covariate imbalance resulting from selection bias. 4.4 Quantifying the bias resulting from covariate imbalance. Part II: Actions to be Taken to Improve the Reliability of Medical Studies. 5 Preventing Selection Bias in Randomized Trials. 5.1 Minimizing the Impact of Selection Bias. 5.2 Biased Selection of Investigators. 5.3 Minimizing the prediction of future allocations. 5.3.1 The trade-off between selection bias and chronological bias. 5.3.3 Varying the block sizes. 6 Detecting Selection Bias in Randomized Trials. 6.1 Baseline Imbalances in Observed Covariates. 6.2 Testing for selection bias without baseline analyses. 6.4 The role of the reverse propensity score in third-order residual selection bias. 6.5 Using the reverse propensity score To Test for selection bias: the Berger–Exner test and graph. 6.6 Using the screening log to test for selection bias. 6.7 The Ivanova-Barrier-Berger (IBB) Detection Method. 6.8 Interpreting negative tests of selection bias. 6.9 When should one test for selection bias? 6.10 Who should test for selection bias? 7 Adjusting for Selection Bias in Randomized Trials. 7.1 Methods proposed for addressing non-random baseline imbalances. 7.2 Selection bias arising from a complete lack of allocation concealment. 7.3 Selection bias arising from imperfect allocation concealment. 7.3.1 The RPS approach to adjusting for selection bias. 7.3.2 The Ivanova–Barrier–Berger (IBB) method for correcting selection bias. 8 Managing Selection Bias in Randomized Trials. 8.1 Action points during the design phase of the trial. 8.2 Action points during the conduct of the trial. 8.3 Action points during the analysis of trial data. 8.4 Action points by party.